Art Print - Mobility of Pawns - 8" x 10"
"Only a pawn can ever become a queen. She just has to keep moving." 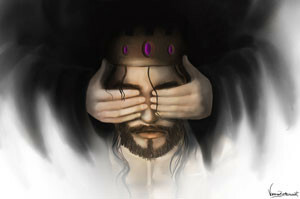 The King of Heiland sits alone, blinded by the will of others and lost in the nightmares of another world.